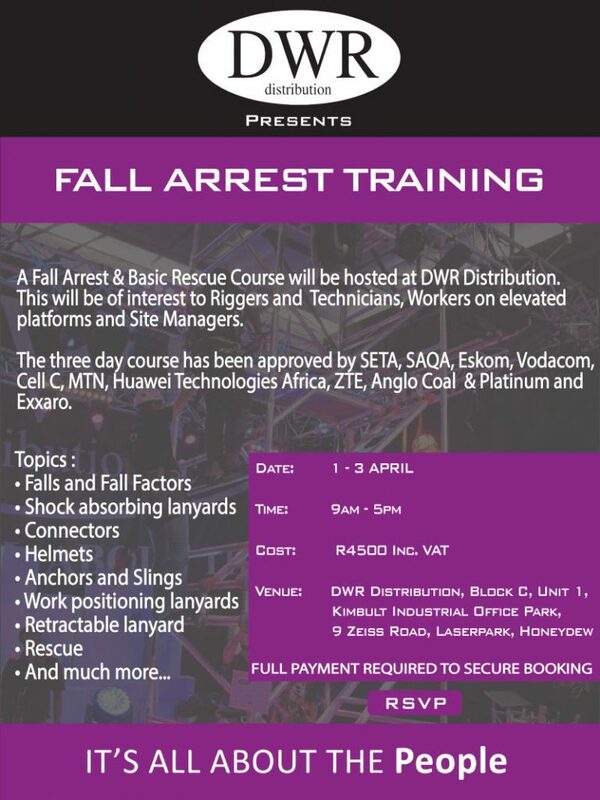 Gravity Training will present a Fall Arrest and Basic Rescue Training Course at DWR Distribution from 1st to 3rd April. The certified three-day course will focus on a range of topics including falls and fall factors, shock absorbing lanyards, connectors, helmets, anchors and slings, work positioning lanyards, retractable lanyards and rescue. The cost is R4 500 and includes a light lunch and refreshments. Please advise should you have any dietary requirements.